Iginio Lardani was a graphic and film titles designer best known for his iconic title design work in the Spaghetti Western genre. Born in Áscoli Piceno, Italy, on December 24, 1924, Lardani was a European contemporary of title design titans Saul Bass and Maurice Binder. He was an autodidact with a great interest in painting. He moved to Rome at the age of 25 and entered the world of film through poster design. After creating the Italian posters for films like High Noon, he designed the title sequences to Sergio Leone's Dollars Trilogy – A Fistful of Dollars (1964), For a Few Dollars More (1965), and The Good, The Bad and The Ugly (1966). Often allowed an entirely free hand when designing titles and trailers, he worked from his study in Via Reno, Rome. He also designed the opening titles for Face to Face (1967), The Mercenary (1969), and Tepepa (1969). Outside of the Spaghetti Western genre, Lardani designed the openings for Casanova '70 (1965), Il compagno Don Camillo (1965), Queimada (1969), and A Special Day (1977). Often affectionaltely referred to as "Gigi" and sometimes mistakenly called "Eugenio", he also designed and edited film trailers, most notably those of Mogliamante (1977) by Marco Vicario and Una Gionata Particolare (1977) by Ettore Scola, which were awarded first and second place at Cannes in 1978. His son Alberto worked with him for more than 12 years until Iginio passed away on May 15, 1986, in Rome. 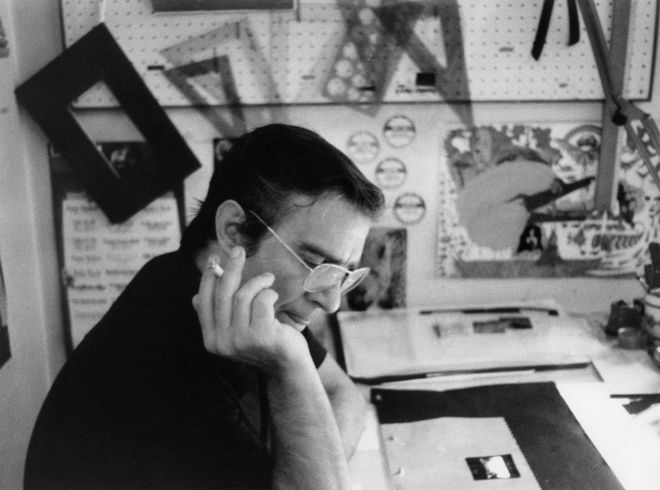 Alberto continued in his father’s footsteps, designing the title sequence for Stealing Beauty (1996), until his own death in 2010. For an in-depth look at Iginio Lardani’s most iconic work, see A Fistful of Titles: The Westerns of Iginio Lardani.